LeBron James, you might have heard, announced that he would return to Cleveland, a not insignificant transaction in the sports world. 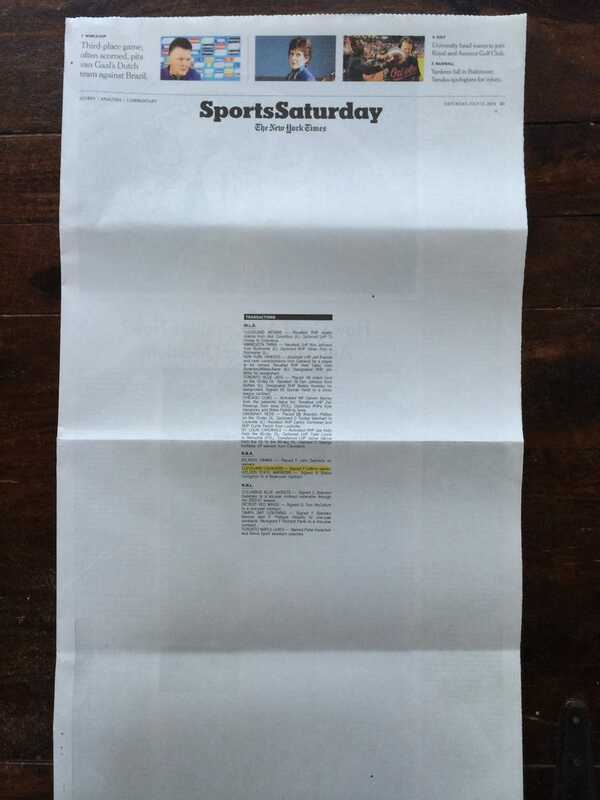 In reporting the news on Saturday, The New York Times went with a white-space heavy front page that is visually striking and clever. It's a twist on the usual transactions page. Today, it's not buried in the middle of the paper with the box scores and sports TV schedule; it's front and center, and the only transaction anyone cared about Friday—sorry, Jeff Francis-to-the-Yankees—and probably since the NBA Finals ended, is highlighted.